You would think so but I believe Nvidia still is huffing its own farts on pricing. They haven't bothered to compete much in lowering 1060 prices to sell them off the past 2 months. For me this is shaping up to be a repeat of 2014 into 2015 as I look for a replacement of my 970. The only 2060 that interests me so far is the MSI that isn't on sale yet or is jacked up to $460 at a NE 3rd party seller. From the reviews, the 2060 really kills the 2070 in price/perf. Only question now is performance. ~1070 levels surely? Power draw vs Pascal is going to be quite interesting. Also if tensor cores or not (rumours yes of course.). I said this last week in the rtx2060 thread. Amazing I was right on target. This will be the performance of these cards also, bet on it. 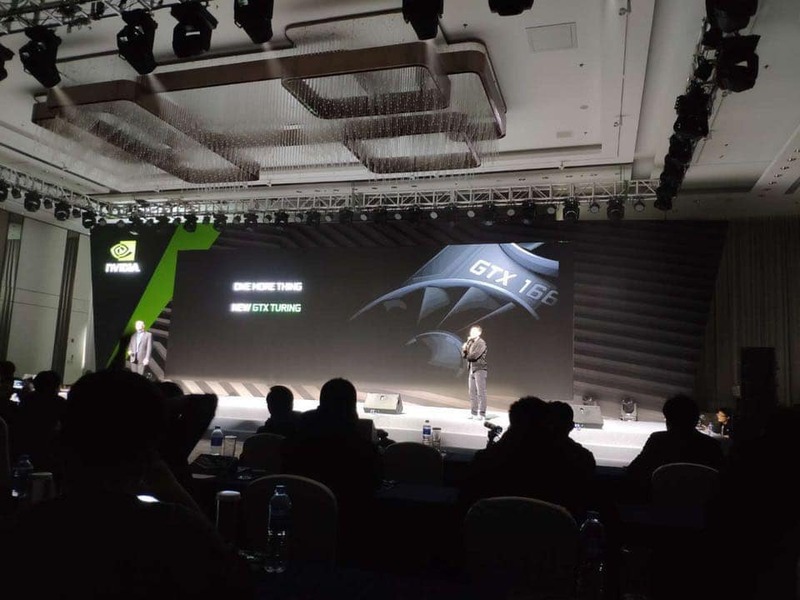 "Now, HardOCP's sources tell us that the Nvidia GeForce GTX 1660 Ti will launch on February 15, with an MSRP of $279. The GTX 1660 will launch in early March at $229, while the GTX 1650 will go on sale for $179 in late March." Very interested to see the performance of the 1650,1660 and 1660Ti. Is there any word on how much vram they will have? Maybe 6gb for Ti and 4gb for 1650 and 1660? I better hope Nvidia doesn't put 3gb on 1660 else that would be DOA. Well on the 2060, you get better than GTX 1070Ti, or Vega 56 conventional performance, and better price performance than them before you even consider the RT/Tensor HW, so the the extra HW is essentially a free bonus feature. Yes that is true but when DX11 and tesselation was new, not many games supported it but within about a couple of years many games supported it so maybe we should give a couple of years for this tech to be adopted. Yea it's more of a hardware feature that isn't that useful at the moment. Still hoping we get an 1180ti. I don't want to waste money on RTX features I don't care about but would like performance at/near 2080 ti levels. Are we paying extra for the hardware or lack of competition? I believe the latter so if amd had competitive cards then the RTX hardware would be free as well. The reason is irrelevant to the consumer, the end result is what counts. And currently the consumer is asked to pay extra for the RT hardware for a feature 99% of games doent use. the 1660 will be priced at $229 and be 11% faster than the $260 gtx 1060 or $299 FE edition. The 1660 seems to be the replacement for the 1060 to beat a $279 rx590 for less money. That might not last long. Once the stock is over then your options are limited to Vega 56 and 1660. What about 1650? As fast as 1060 3gb/570? Touring has much better memory compression you wont need more than 6gb at 1080p/1440p. Noticed I said NEED, not how much a game will utilize . in other words you will not see stutter in frametimes. Why compare a 1070 fire sale, after rebate sale ? A old gpu with a $400 msrp? We could buy a 2%slower gtx 980ti for $320 2 years ago but we bought the gtx 1070 for $350 when it was on sale because smart buyers knew that like today the 1070 beats a 980ti in every benchmark in any game made in the past 15 months by 10% or more. I'd be willing to bet a rtx 2060 will be faster than a gtx 108 in a year, its only 6% slower now. A 1660ti will be faster than a gtx 1070 also next year. That might not last long. Once the stock is over then your options are limited to Vega 56 and 1660.What about 1650? As fast as 1060 3gb/570? I can see a cut-down 1660 Ti going for $230, but surely a 3 GB GDDR5 card would be less than $229. That card would struggle even now in some games. Might be a bit more than 12% below the 1660 Ti as well since according to the videocardz article it has 2 compute clusters (256 CUDA cores) disabled from the full 12 (1536 CUDA cores) of the 1660 Ti. Add on the slower memory and performance will be worse than just 12% slower. The low-rent 1060 or 1030 models didn't have higher clocks (The DDR4 1030 had lower base clocks) to compensate, so there's no indication that NVidia will do that here. The 1660 will be 10% faster than the gtx1060 or at rx590 levels and the 1660ti will be 25% faster than a gtx1060. I don't see the point of a 1660 3gb.